In 1964 Kitty Genovese was murdered on the street near her apartment in New York. As many as 38 people may have witnessed the attack, and yet not one of them came to her aid. 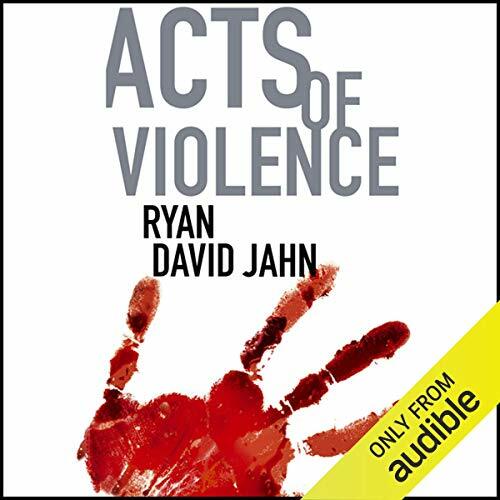 In Acts of Violence, Ryan David Jahn has fictionalised the events of that night, crafting a series of stories about the victim, the killer, and the bystanders: the terrified Vietnam draftee; the woman who thinks she's killed a child; the former soldier planning suicide and the man who saves him. In this terrifying novel, Jahn explores the lives of those whose lives are touched, however briefly, by the murder in their midst, and creates an insightful portrait of America in the throes of the Vietnam War and at the height the Civil Rights movement. The dual narration of the audiobook remains true to the formal nature of the book. Narrators Lauren Lefkow and John Guerrasio - a New York native who remembers the crime the novel is based on - deliver compelling readings that bring Jahn's highly crafted book to life. Guerrasio voices the multitude of witnesses, while Lefkow delivers a sensitive and nuanced performance of 'Katrina Marino', the murder victim. Shocking and compassionate, angry and gripping, Acts of Violence is a sprawling, cinematic tour-de-force, a terrifying crime novel unlike any other.